Summer Company Parties . . . Creative Fun or the Same Old Thing??? Where did winter and spring go? This year is flying by. Time to start planning events for warmer weather. For those of you that either volunteer or are handed the daunting task of planning and carrying out a “great summer event” for your organization, there are a variety of ways to approach the task. Why not put in a little extra thought and effort, and produce something that will let you and your committee shine. There are a variety of approaches to summer social events. First question to ask is what kind of event will you hold? Part of the answer to this question will depend on your organization’s facilities, budget, time constraints, as well as the type of event employees seem to favor. Weekend Family Event This is the traditional approach and a great way for employees to get to know each other’s families. Even though it’s the traditional solution, there are many ways that it can be taken outside of the box with a innovative, fresh and creative approach. Lunch at the Office . . . . Anything But Boring! Maybe the budget is a bit tight this year, or the calendar won’t allow for a weekend event. Even if an event is held on a workday during lunch and at the facility, it shows the employees goodwill and creates and opportunity for the team to mix and socialize. These events can be inexpensive and relatively simple to plan. Be sure to throw in some theme decor, an activity or two and and of course some upbeat music to create a fun atmosphere. Off-Site Adult Event For those who desire a more formal setting, a warm summer evening lends itself to an adult social gathering. Amusement Park or Attraction There are numerous attractions in California that can give employees a break from their normal routine. Many offer group picnic areas where the team can gather for food and company formalities (a pep talk from the boss), before they head off for the rides and entertainment. Lewis Events can help you connect with representatives from these destinations to learn about special offers and discount tickets. We can even give you tips on how to make your organization’s day in the park that much more successful. Company Picnic OK, so the annual summer event is the picnic. Right? But who says it has to be typical. One habit that companies sometimes fall into, is doing the same thing each summer. Then they wonder why attendance seems to diminish for each outing. Holding a picnic each year is fine, however, one key to success is to change the picnic’s theme each year along with activities and decorations that complement the theme. A few favorites include: Pirate’s Cove, Wild West, Welcome to Hollywood, Lost on Route 66, Surf’s Up, Survivor Challenge, and the list goes on. Sit-In-Movies There are not many drive-ins left on the landscape, but that doesn’t mean that you can’t create your own memorable movie experience. It’s lots of fun to bring the group together and catch a blockbuster on a giant screen at a nearby park, inside a company facility, the company parking lot or other open space. For an added twist, bring in a 1950’s era malt shop or drive-in snack bar complete with grilled hot dogs, buttered popcorn and root beer floats. We put a theater experience together for a company on a warehouse loading dock that was a huge success. County Fair-Chili Cook-Off Ready for a little team competition among the employees or departments? Try a county fair style chili cook off. Prizes for the best overall chili, hottest chili, best named chili, best chili booth décor and best chili team costumes. To round out the event a variety of county fair themed games, decorative elements, activities and entertainment can be included. Team Building Challenge and Fun Accomplish two objectives with one activity. On the day of the event, teams participate in a variety of fun, yet challenging team building activities. Some companies that do this every year, change the theme and accompanying activities to keep it fresh and exciting. 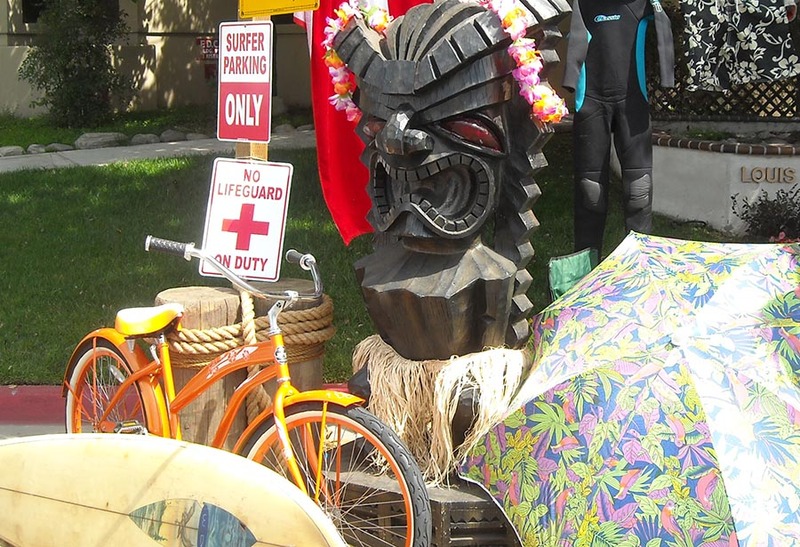 Some successful themes include: Survivor, Movie Madness, Pirate Crew Challenge, Olympic Spirit, Chef’s Challenge, and more. Often, this activity can be held on site. Be sure not to forget lunch or some amazing snacks. Social Gatherings Warm summer evenings are a great time to host an adult social event. A fifty’s sock hop, a tropical luau, a 1940’s dance club, an elegant sit down dinner, or a contemporary club lounge are a few of the many themes to get the creative ideas flowing. How about a fitness, sports themed breakfast? 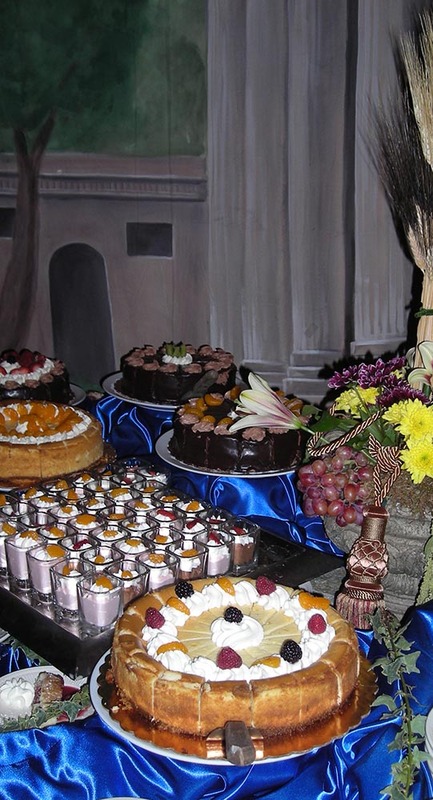 Whether it’s at the company’s location or unique off-site venue, a creative and well thought out blend of food, entertainment and décor can make for a memorable special event. Specialized Company Competition Often companies will host an event, centered around a specific contest or activity. One company held a “roadeo” competition where the skills of their truck drivers were tested. How about timing the checkers in ringing up a basket of groceries or baggers. How well can the forklift drivers navigate though a designated course. How fast can the warehouse crew members fill an order of random requests. The creative sky is the limit. Kids can even pedal a car around their own junior “roadeo” course as one of the activities. Food, games and activities make it a great social gathering for the entire family. FOOD! There are endless food options for budgets and appetites. 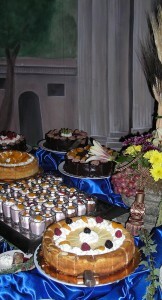 A full service caterer can range from expensive gourmet style all the way to budget conscience comfort food. Your favorite restaurant may be able to drop off an order or allow you to do your own pick up. Another tasty option is to arrange for your favorite food truck to pay you a visit at the event. If a full meal is out of the budget, light refreshments are always appreciated. These are a few ideas to get you and the committee thinking about some creative and out of the box ideas for your company. The key is to create something new, unique, memorable and fun. Do these ideas sound like a lot to take on? A reputable event planner can be a big help. Lewis Events can assist you in get started and steer you in the right direction. We can even manage the event from the planning stages to the finish. Give us a call or send us an email and we’ll be happy to work with you though the entire event process or simply give you some great ideas. . . . We have a ton of more creative ideas for amazing and unforgettabele events that we’d love to share with you. These “E-deas” are brought to you by Lewis Events, a full service event coordinating company. Lewis Events provides professional services that include full event coordination, creative planning, decorating, entertainment, rentals, locations, catering, sound & lighting, interactive attractions, and other services. Whatever your event type might be; theme parties, company events, weddings, school events, trade shows, picnics, marketing and promotions, or a variety of other types, Lewis Events is here to help. Author Jay Lewis is co-owner of Lewis Events and can be reached at: jay@lewisevents.com or 626-536-8091. More on Lewis Events at LewisEvents.com (you are already here), Facebook, Twitter and Pinterest.